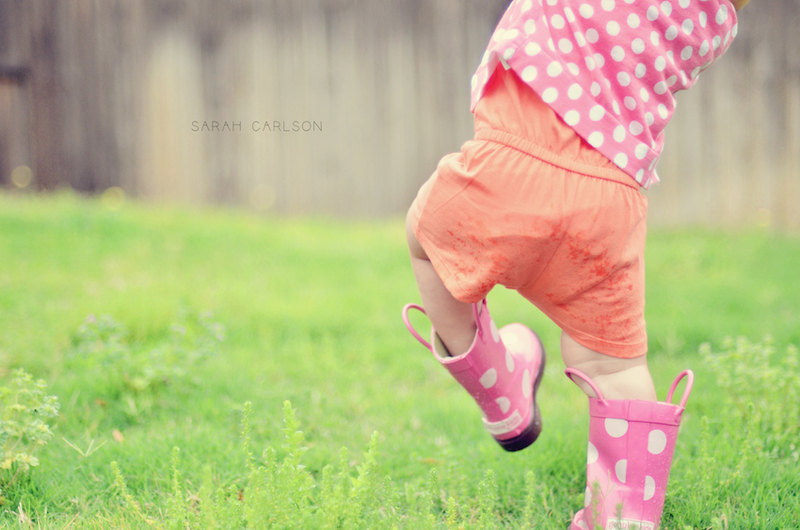 We've had a couple of dreary, sprinkly days around here, so I thought some rain boot pictures would be cute. Problem is that these are so huge on Kate's tiny feet that she can't walk in them. So much for my photographic "vision." But hey, this gives me a laugh, so I'll take it!